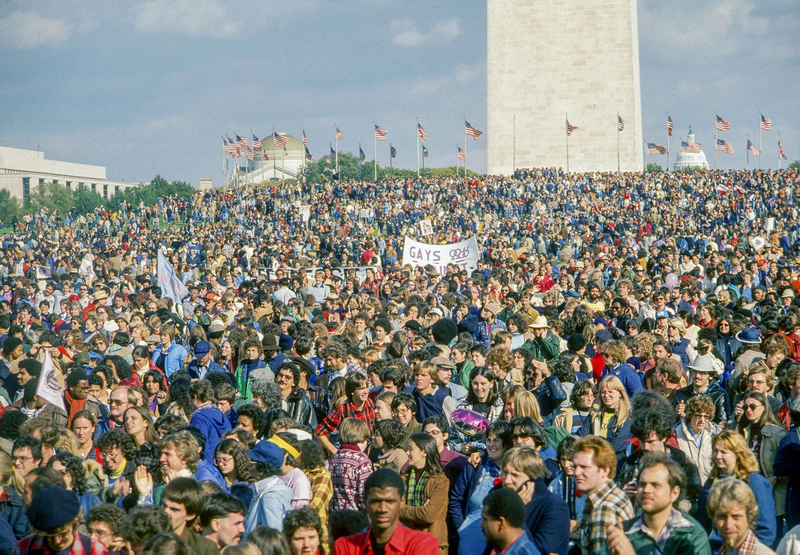 The current political climate has become increasingly poisonous and I wanted to share an inspiring photograph from the 1st National March for LGBT rights that took place in 1979. The LGBT community was organizing and building a voice that would help it flex its political muscle. Something that would be desperately needed in just a few years when the AIDS epidemic blew up. Ronald Reagan and all of the US Congress (Democrats and Republicans alike) would turn their backs on our community while tens of thousands of young men succumbed to the “Gay Cancer” as it was called. Wow. This looks like the last scene from the movie Hair. It is so hard to think of 1979 as vintage, yet it does feel like it was ages ago, sometimes.